BlackNews.com is an excellent resource for what is on the hearts and minds of the Black Community. 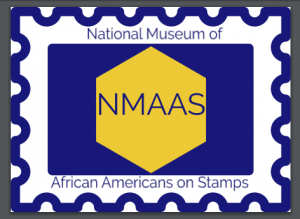 We especially like the compilation of African American History Museums. Why The Need For Black History Museums? Black history museums showcase African American experiences with visual details. Visitors can see pictures, displays, and even actual artifacts that relate to African American history and culture. These museums are frequented by historians, school kids on field trips, and others who may be interested. Some museums feature original art, letters, clothing and more that were a part of a well-known occurrence. Such museums play a huge role in keeping Black history alive. Many are well-supported by the community, and often receive funding and grants from local churches and organizations. Some, such as the Martin Luther King Jr. National Memorial in Washington DC, receive federal funding from the government. Although not museums, many states such as Arkansas, Maryland, and Missouri preserve sites such as the Underground Railroad and slavery camps. They use these to encourage people to visit their states. This is done through the state board of tourism, and is very influential is making sure that Black history is not forgotten. Recently learned about Black History 101 Mobile Museum. Very inspiring as they have been doing what we aspire to do.